Real Estate, Santa Monica, Beach Properties. Michael Rodgers of The Rodgers Group represented the buyers in the off market purchase of this stunning Santa Monica family home. Santa Monica is one of the most livable city's in America and is home to exceptional shopping and restaurants and also provides a top rated school district and easy beach access. Perched above one of the most beautiful palm-lined streets in Gillette Regent Square, this expertly crafted English cottage revival home is full of character and charm. The gated and private front entry includes a seating area and motor court. The beautiful leaded glass front door leads you inside a foyer with powder bath and dramatic staircase. Inside you'll find a distinctive features like herringbone hardwood floors, beamed ceilings, built-ins and five fireplaces. Chef's kitchen is equipped with top-of-the-line appliances including Wolf, Miele and sub zero. There is an eat in dining area, outdoor terrace with built-in barbecue leads to a bones room and lush private backyard. Home includes audio visual system, CCYV security and AC. Bathrooms complete with high end fixtures including Grohe, Hanscrohe, Toto, and tile from Walker Zanger and Ann Sacks. Generous master with balcony, large bedrooms with walk in closets, high ceilings and cozy library completes this dream home. 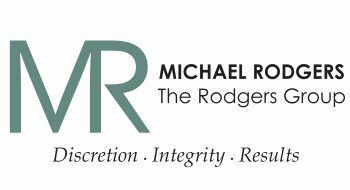 Michael Rodgers and his team at The Rodgers Group are the Westside's premier resource for local real estate, providing expertise in all areas of property investment. Call us to discuss how we can help you find your perfect home at the right price!